At times like these, while we’re still washing out the bitter aftertaste of the grand final’s diVARster, it’s best to pair the palatable with the unpalatable. This season has been a meal of competing flavours, soothing sweetness driving in one way, sharp, acetic notes streaking through the other; at times the culinary dissonance produced delicious results – bacon and maple syrup – at others it was more like mustard and ice cream. As much as their dominance of the regular season staled things slightly, the mechanisms that allowed Sydney to dominate were a healthy change. So often following great seasons, A-League teams find their roster gutted, with key marquees roaming off back home, and young stars biting hard on lures, reeled away overseas for better or worse. Of course, Sydney being one of the league’s biggest, wealthiest clubs doesn’t hurt, but it was still encouraging to see all but two of their main stars from the 16-17 campaign – a record-setting season, remember – retained for this season. Filip Holosko was more than replaced by Adrian Mierzejewski, and Andrew Redmayne was probably – at worst – the third best goalkeeper in the league this season. 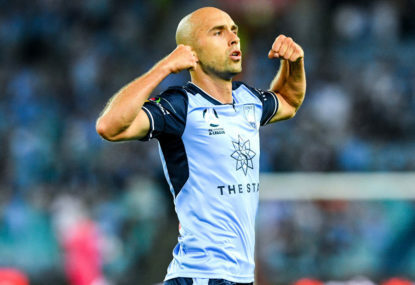 Naturally, it was the fact Milos Ninkovic, Bobo, Alex Wilkinson – who has re-signed for another two years – Josh Brillante and Brandon O’Neill all returned that really cemented Sydney’s second straight Premiers Plate. 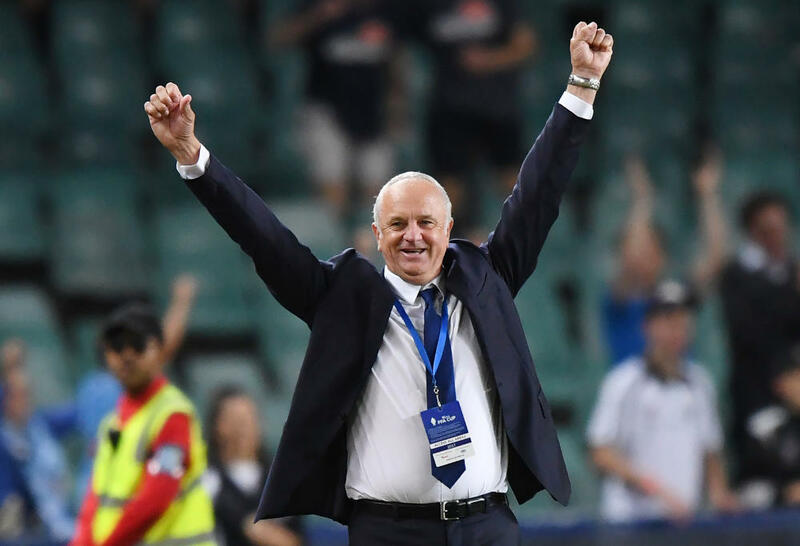 Graham Arnold – another key element over these last two seasons – has now gone, and we’ll have to see if this thread of continuity survives the upcoming off-season. The FFA announced they’re looking to take on a new creative and media agency this month, and perhaps with their ears still ringing from the grand final fallout, they’ll look with a little more urgency. Simply put, the way they marketed the 2017-18 season was dreadful; the ‘You’ve got to have a team’ campaign is sitting grey and mouldy in the corner of the cupboard, and there has been precious little offered up to replace it. Things got worse for the governing body when Tim Cahill – their main marketing stud – up and left the league in a strop halfway through the season. The goodwill that had reached a frothing crescendo after the 2015 Asian Cup victory has evaporated entirely; the ongoing FFA Congress saga, the fairly bitter end to Ange Postecoglou’s reign, the various VAR hiccups throughout the season, all of these have nibbled away at the league’s momentum over the past year. A smart, eye-catching advertising campaign could have blown these critters away. The FFA recently said their marketing budget will be doubled for next season; two-times zero is still zero, one fears. From floundering in the black pit of despair, to soaring into the gleaming light of glory. Well, although technically Newcastle finish this season empty-handed as far as silverware goes, the turnaround overseen by Ernie Merrick and Lawrie McKinna, fuelled by a collection of sharpened, organised players, has been remarkable. The enthusiasm the city generated for their team was a boost for every regional expansion hopeful, and it was reported more than 100,000 people – inside the stadium and in viewing venues around the city – gathered and watched the Jets in the grand final. As much as Merrick’s tactical approach was nullified in the decider, as well as spluttering at times during the season, it was hugely satisfying to see a squad constructed and arranged with such clear thinking and sound reasoning around a coherent tactical intention. They will feel the most aggrieved by how the season ended, but they shouldn’t let the final clanging note drown out what had been a wondrous symphony of redemption. It feels as though this season has been markedly more disrupted by key injuries and departures than most. Bruno Fornaroli’s pre-season ankle injury kicked us off, Ronny Vargas’ broken leg followed two months later, and the bad luck barely slowed down all season. Perth were shorn of Adam Taggart for weeks, and Adelaide missed their new, efficient marquee Johan Absalonsen. Rhyan Grant missed the entire season for Sydney FC, and Roy O’Donovan missed 13 games for Newcastle. All these players could have been key for their teams; their presence could have changed things dramatically. To cap things off, we lost Rhys Williams in the warm-up for the grand final, and only a miracle recovery allowed Nigel Boogaard to take the field in his team’s final two games. As for the departures, well, it wouldn’t be unreasonable to assume, having been in second place for the Golden Boot when he left, that Ross McCormack might have helped City in their finals run-in. For that matter, Tim Cahill might have too. Obviously, Andrew Nabbout’s departure was a huge blow to the Jets’ potency in attack; perhaps he might have broken through the Melbourne Victory rampart in the final. Mark Milligan left the Victory mid-season too, although he was playing poorly before he shot off. These things, to one extent or another, can’t really be helped, but if the football gods could shine a benevolent light down on us next season, well, ta muchly. The total goals scored this season wasn’t especially high (408); one goal more than last season, and far fewer than the plundering that occurred in 2015-16. But there was a higher concentration of blooters, of howitzers, of thunderbastards, of worldies, of goals-and-a-half this season. The highlight reel from this campaign alone runs like an all-time collection; from Nabbout’s scorching outside-of-the-boot curler against the Wanderers, to Ninkovic’s close-control clinic against Newcastle, every sinew of goal-scoring talent was flexed this season. There are few things more satisfying than a free-kick rocketing in off the crossbar, and Mierzejewski gave us one of those. James Troisi and Connor Pain treated us to that special kind of strike from distance, that flies like an arrow, unwavering in its trajectory, into the top corner. Besart Berisha gave us a high-stakes, contorting bicycle kick, and Dario Vidosic’s angled wallop had echoes of van Basten. Mark Milligan called upon the image of Matt Le Tissier with his dink-and-volley against Adelaide, and Riley McGree sent a shockwave around the planet with his Puskas-worthy scorpion volley on the run in the semi. It’s all there below, treat yourself. Everyone is well aware of the rusted-on A-League journeymen; Osama Malik, Liam Reddy, Mark Bridge, Nikolai Topor-Stanley, et al. They’ve bounced around the league, largely being serviceable players wherever they’ve landed. But there seem to be a raft of young players up and leaving too, jumping turbulently from club to club. Last season, Ruon Tongyik player over 1000 minutes for Melbourne City; he played literally zero this season. He, along with Nick Fitzgerald and Bruce Kamau – two attackers who began the season in the rotation, and ended it firmly out of it – moved to the Wanderers. 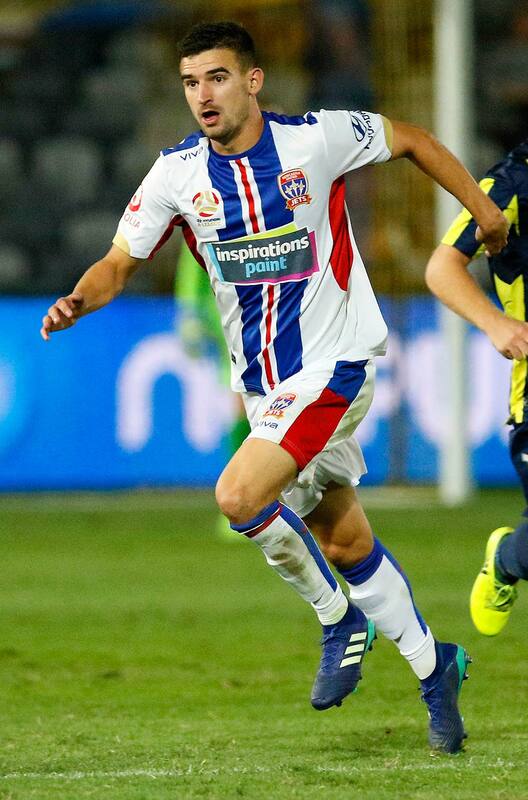 Trent Buhagiar was only in the starting XI just four times this season for the wallowing Mariners, and was released this week, reportedly heading to Sydney. Daniel De Silva, who was highly involved in the Mariners first team this season, is reportedly heading to City; a pairing of De Silva and Daniel Arzani could be very tasty next season. Scanning down the list of youngsters to play this season, one wonders exactly what’s in store for, say, Christian Theohaurous; the forward finished the season strong, appearing in 11 of Victory’s final 16 fixtures, having appeared exclusively as a sub in 7 of their first 15. It was genuinely disappointing to find out he would miss the grand final through injury, such was his relevance. Logic would imply he’s on an upward trajectory, but then one can turn to Roar youngster Joe Caletti who played every one of Brisbane’s final ten games last season – as well as the most of the first half of this season – but has been out of the Roar squad since December last year. It seems that, for younger players in our league, their star can fall as easily as it has risen. Remember Lachie Scott? As much as pastures appear greener from a distance, it can’t be good for development to bounce in and out of the first team – or, indeed, in and out of clubs – season on season. Naturally, this process is the result of the need to win in the short term, to the detriment of youth development in the long term; as such it’s very hard to shift. Surely if players with potential – like Tongyik or Da Silva – are to be moved around so, then transfer fees between clubs must be allowed at some point. Well, that’s surely enough for now. The VAR argument I’ll leave to those below the line. See you at the World Cup!